From what we’ve seen of Fashion Week’s Fall ‘14 collections, Mid-century silhouettes, a la Joan and Peggy from “Mad Men”, are hotter than ever! 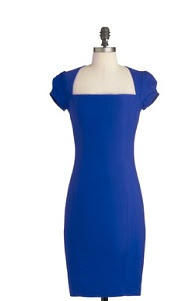 ModCloth has got a wide assortment of classically chic pieces, with many available in our full range of sizes (XS-4X). 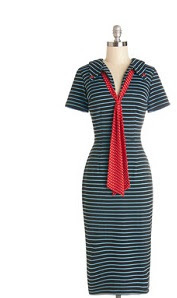 For more Mid-century looks, check out the rest of the collection. Can’t get enough of Mid-century marvels? We’ve got styling tips to perfect a look that’s both classic and contemporary. After your ensemble’s all set, treat yourself to some refreshment with a ‘neat’ old fashioned cocktail recipe — Don Draper’s favorite! Share your spring style with ModCloth’s ‘Spring-Time to Shine’ Contest, and you could win a $50 gift certificate! Entering is simple — just snap a photo of yourself in your freshest spring ensemble and upload to the Style Gallery. 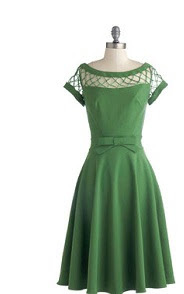 Outfits do not need to feature ModCloth (although it is encouraged! ), and users can submit as many entries as their hearts desire. Two winners will be chosen and featured by ModCloth. This contest is open to both domestic and international applications through 1 p.m. PT on 4/28. Please see our blog for more details. Good luck!